Music • Paul Cardall enjoys success a year after his album hit the top spot on the New Age charts. Paul Cardall doesn't want to talk about his heart. The new one he received in 2009 during a much-publicized transplant procedure is working just fine, thank you. Cardall would like to talk about his New Age piano music. He will be performing some of his favorite selections on June 16 at Sandy Amphitheater with the Lyceum Philharmonic youth orchestra. Cardall, who is also a lecturer and travel specialist, didn't take well to piano lessons as a child. His restless spirit chafed at the structured demands of traditional piano study, and the lessons stopped after less than a year. He loved music, though, and listened to it constantly as he grew up in Salt Lake City. When a close friend died while Cardall was in his teens, he returned to the piano, composing a melody in his friend's honor as he searched for solace. "For the first time in my life, I hit a couple of notes that spoke to me like I knew them," he said. "I had this overwhelming feeling. I could really hear what I was feeling through those notes. " Through music, Cardall had found a way to plumb the depths of his emotions  and because he was living with a life-threatening congenital heart condition, there were many to explore. He began spending several daily hours at the piano picking out popular songs and composing music inspired by his favorite New Age artists: David Lanz, Yanni, Jim Brickman and George Winston. Cardall's original music had a tender, intimate quality that impressed his family and friends. He soon found gigs playing in restaurants, then at Nordstrom department store. And he began studying the fundamentals of music in earnest. From popular piano instructor Craig Kaelin, he learned about scales and chords, and how to write the musical charts used by studio musicians. Meanwhile, Cardall took college classes in marketing and business, learning to sell and package music and manage the intricacies of royalties and publishing. He broke onto the national music scene when Utah author Richard Paul Evans asked him to compose an album to link with his best-selling book The Christmas Box in 1994. A contract with the Narada music label followed in 1999, after which Cardall created his own label, Stone Angel, for inspirational music. His album "New Life" debuted as the No. 1 Billboard New Age album in 2011 and remained in the top five for 30 weeks. The album was the musical culmination of Cardall's 385-day wait for a healthy new heart, detailed in a blog that attracted more than 1 million followers. The release coincided with the publication of his memoir, Before My Heart Stops. The songs Cardall will perform at the Sandy Amphitheater have been expanded musically from the versions on his albums. 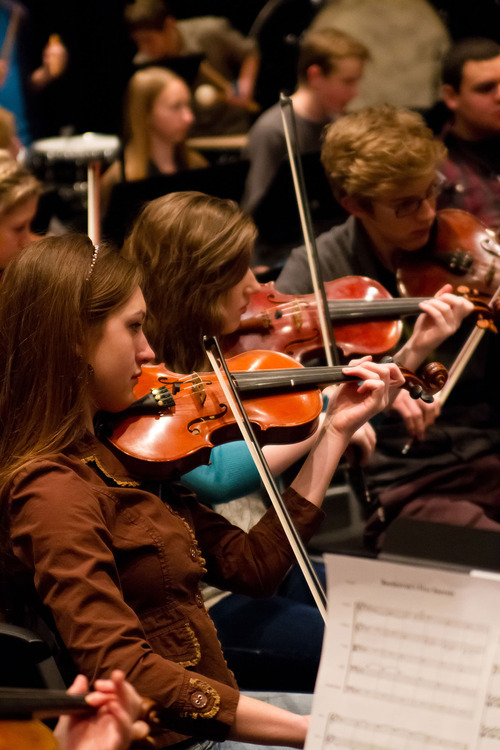 Utah composer/arranger Marshall McDonald, a friend of Cardall's, wrote full orchestrations of the pieces, to be performed by the award-winning Lyceum Philharmonic youth orchestra. "Paul's music has a lot of textures, and we're adding a lot with the orchestra," said Kayson Brown, conductor of the Lyceum Philharmonic. "The best of Paul Cardall will be there in a way audiences haven't heard." Besides accompanying Cardall, the orchestra will play the Scherzo from Beethoven's Symphony No. 9, Leroy Anderson's crowd-pleasing "Fiddle Faddle" and two selections from "The Price of Freedom," a stage musical by Utah composer Rob Gardner. 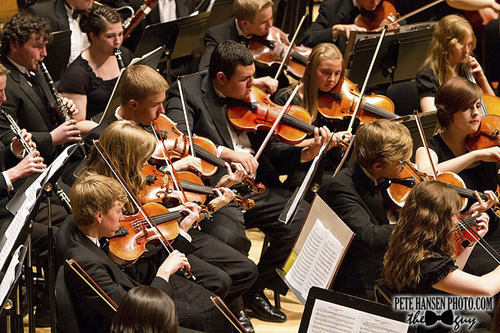 The Lyceum Philharmonic is an after-school orchestra program for students ages 13 to 18, sponsored by the American Heritage private school in American Fork. 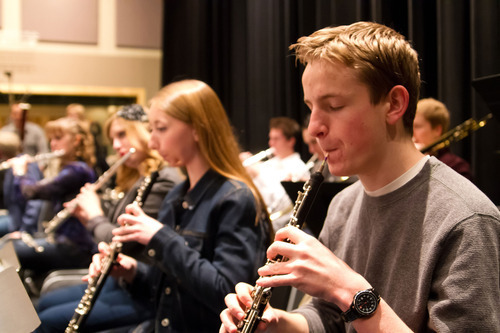 The 65-piece auditioned orchestra is the top performing ensemble of four after-school ensembles at American Heritage; it draws students from many Utah communities. 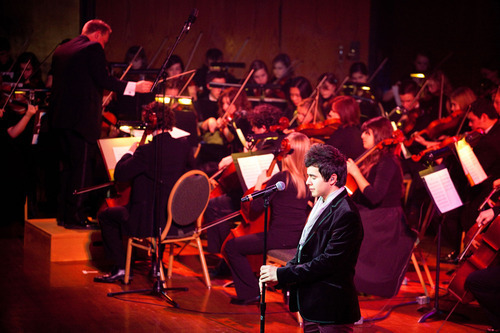 The orchestra's young players have performed with a variety of Utah musicians, including singer Alex Boyé, cellist Steven Sharp Nelson, violinist Jenny Oaks Baker and singer David Archuleta. The group has won the Best of State Utah award as best youth instrumental group for the past four years. 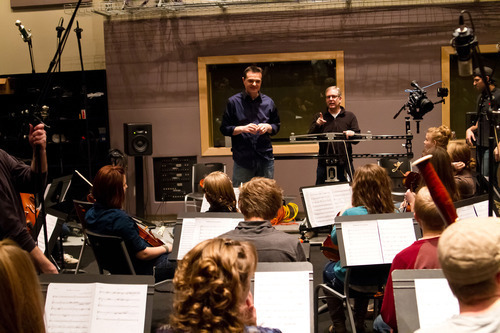 "The students are all auditioned and all motivated," said Brown, who holds a master's degree in orchestral conducting from Brigham Young University, where he is on the string faculty. "There's a wonderful atmosphere from people using their discretionary time and resources to perform uplifting music." 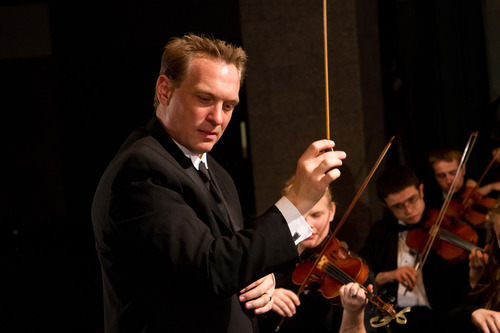 Brown expects the concert to be memorable for his orchestra, as well as Cardall's fans. "If you've listened to Paul's music, it just washes over you," he said. "This is a chance for our musicians to be part of that, feeding off his energy and the beautiful surroundings. 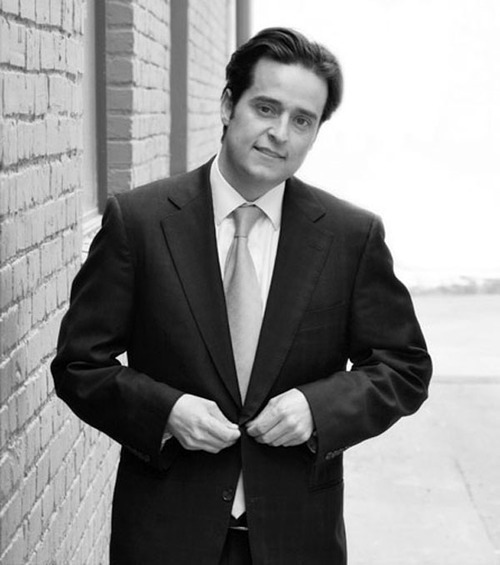 It will be a magical night for our young musicians and the audience as well." 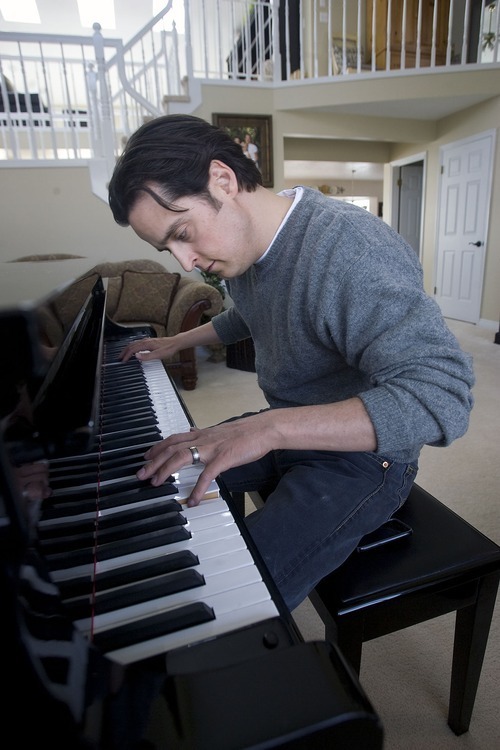 Pianist Paul Cardall ­  whose 2011 album "New Life" debuted as No. 1 on the Billboard New Age chart  performs with the American Heritage Lyceum Philharmonic youth orchestra, conducted by Kayson Brown. When • Saturday, June 16, at 8 p.m.